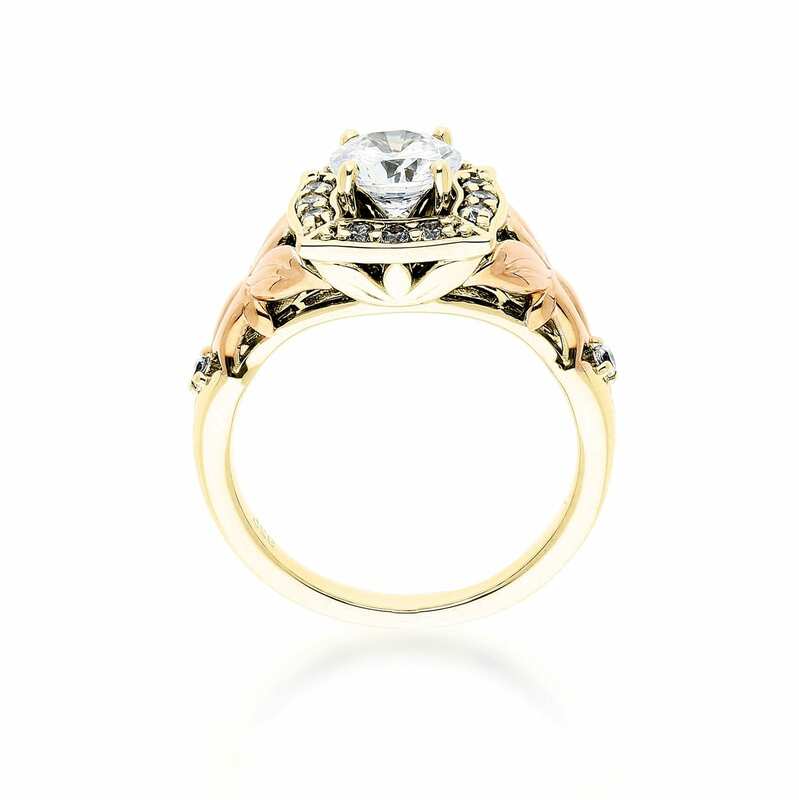 A truly stunning two-tone halo engagement ring featuring 14 diamonds at 0.26 ctw. 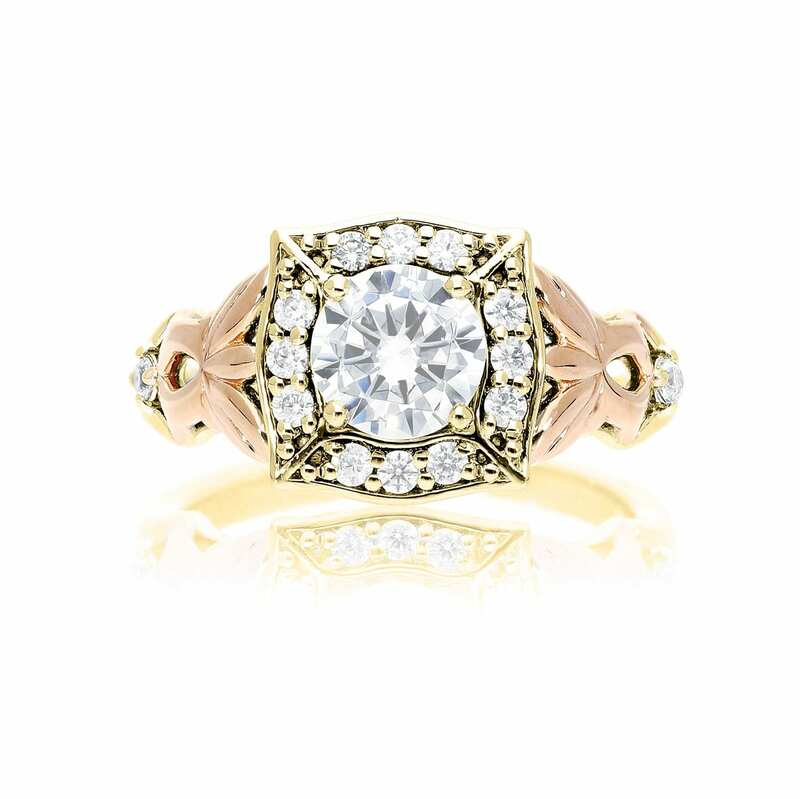 This ring features a wavy square halo with a two-tone gold band. The band has an intrictate design with one diamond accent to each side. Price does not include center stone. Minimum Carat Total weight: 0.25 Ct. 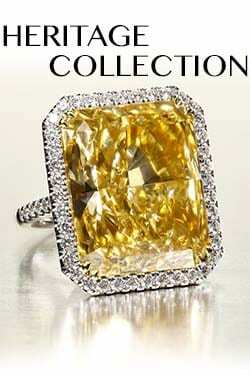 Maximum Carat Total Weight: 4 Ct.
Side Stone Carat Total Weight: .256 Ctw. 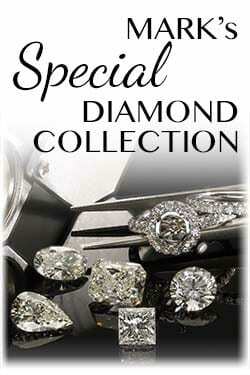 We love assisting our customers in upgrading your diamond & setting. Click here for more information. We offer a hassel-free return policy on purchase uo to 30 days offer after shipping. Click her for more information. Mark was amazing. He made sure we were 100% happy with my engagement ring. He took the time to show me all of my options. He could almost read my mind when I tried something on I was not positive I liked. I would HIGHLY recommend Mark, He made the whole process very easy and enjoyable! Thank you again!!!! DON'T GO ANYWHERE ELSE! My fiancé worked with Ashley at Mark's Diamonds to design a beautiful ring. From what I understand it took about 1 month from start to finish. I found the ring extremely beautiful however with hands as small as mine, the ring was too bulky. I set up a meeting with the owner, Mark, and he listened to every thought I had. With his knowledge and my thoughts, he delivered a ring just as beautiful as the initial concept that fit my tiny hands. The CONSTANT COMPLIMENTS ON MY SPARKLE is....constant! 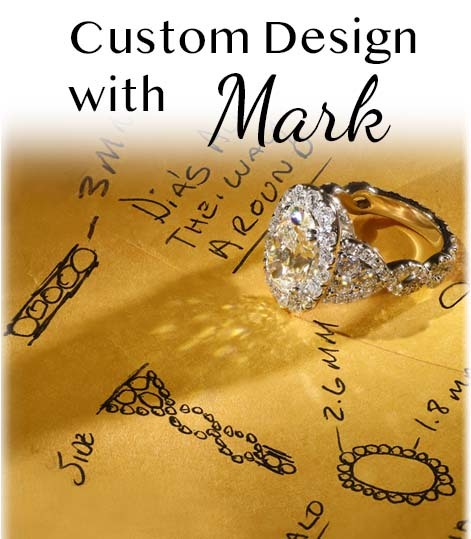 Mark's Diamonds has not only ALL the diamonds to choose from (most brick & mortar only carry a few and have to order other sizes/shapes), but they are high quality. My diamonds are so well cut they sparkle even after several days of using lotion, soap, etc. I absolutely recommend them for either a design or for stocked jewelry they have their show cases, which you can't help but to drool over when you're in their office. Bottom line, don't go anywhere else, you'll just waste time. My fiance and I were extremely happy to find the rings that we were looking for. They even had my little ring size. Mark and his staff were so helpful and friendly from the minute we walked in. 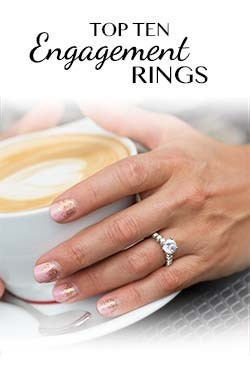 I would recommend everyone to visit Mark's Diamonds if you are going to buy engagement rings! You won't be disappointed. Mark's Diamonds is simply the best. Mark selflessly took time out of his Labor Day to meet with me in order to pick the engagement ring, diamond, and wedding band. Not only that, but he was sympathetic to my budget and was able to help me pick beautiful rings that I'm not only proud of, but they were within my budget too. 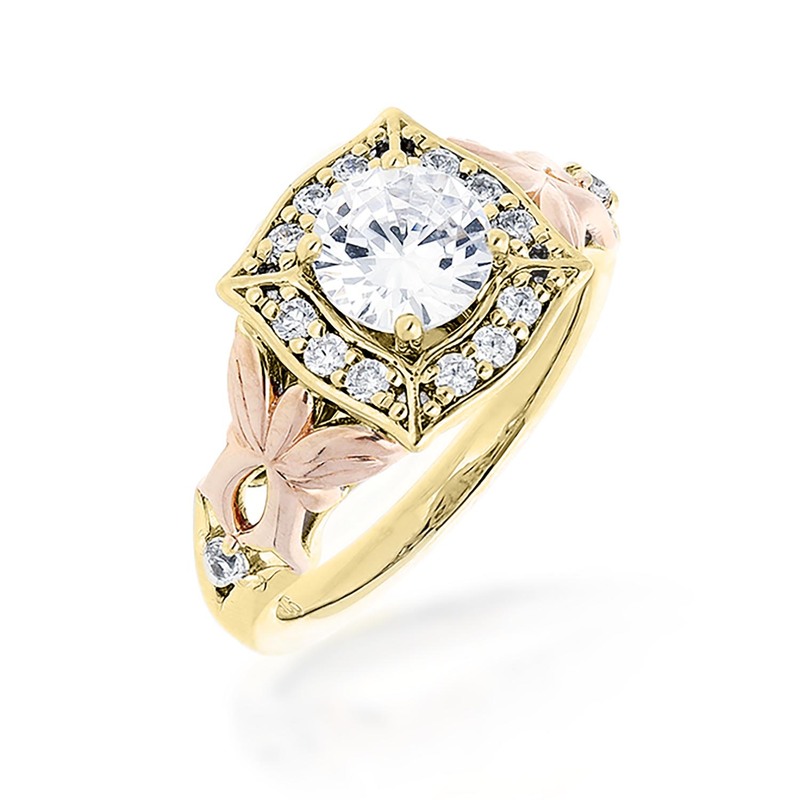 Furthermore, my fiance loves the ring and has received countless compliments on it. If you are looking for a high quality ring, diamond, experience, etc. 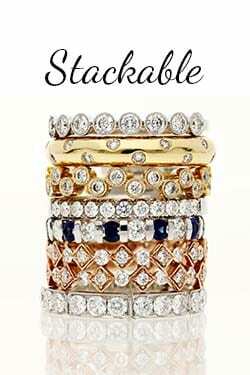 look no further than Mark's Diamonds.